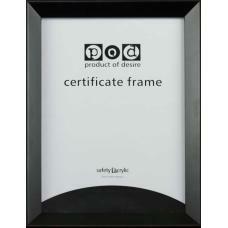 Certificate Frames are cut to standard sizes. add a cut to size mat board to suit your size. Frame Description Specifications Black Ready Made Cert..